Carpathia Credit Union is a little Winnipeg financial institution that was looking to make a big impact with a new branch a few years ago. “We wanted a location with a lot of traffic that was also in a residential area,” says chief executive officer Walter Dlugosh. 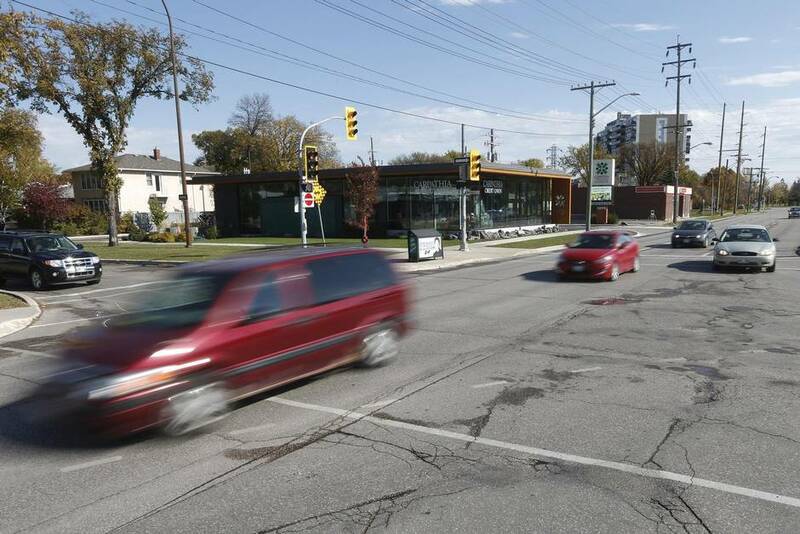 The credit union sought a spot in the city’s south centre, but land in Winnipeg’s older, established neighbourhoods was difficult to find. Eventually, Carpathia chose a former Shell gas station and convenience store site on a busy corner. The price was right – $700,000 – and the location ideal, about a 10-minute drive southwest of downtown. But there was a hitch. The site was contaminated from leaking gasoline tanks that had since been removed. Consequently the lot had sat vacant for a few years while Shell remediated the soil. Redevelopment had its challenges. The 3,200-square-foot project took three years, in part because once construction got under way, oily slicks formed on the surface of rainwater pooling in the excavated site, requiring more remediation. All told the development cost $2.9-million, including additional cleanup (shared with Shell), and features a special vapour barrier in the foundation and a filtration system to mitigate risks associated with any remaining contamination. While redevelopments like this are not unique in Canada, they’re not altogether common either. Empty former gas station lots number in the thousands, many in prime locations – corners of prominent intersections in cities and towns across the country. But extensive soil contamination, requiring cleanup that can take years at great cost, is often a tall hurdle to overcome even in the midst of the booming Canadian real-estate market. “It’s certainly the norm, and not the exception, that the environmental cost exceeds the value of the land,” says Greg Quandt, vice-president with Hemmera, an Oakville, Ont.-based consulting firm with extensive remediation experience. Where land is in short supply and high demand – such as downtown Toronto and Vancouver – redevelopment is economically feasible, but Mr. Quandt says as governments eye more efficient land use, even projects outside city centres are becoming viable. For example, between 2009 and 2013, the B.C. government “released $7.5-million for incentives,” he says, adding it’s now considering more funding. In Ontario, more than 50 municipalities offer grants and other incentives for remediation of sites, a recent report by consulting firm BDO states. These programs often target brownfield sites – locations contaminated by past activity – of any kind. But former gas stations make up a substantial portion, Mr. Quandt says. Many of these initiatives have resulted in 837 sites being remediated since 2009, says Bill Simpkins, of the Canadian Fuels Association, representing the lion’s share of gasoline retailers. “It is difficult to put a value on divested sites since they would have a major range based on location,” he says. But he points to Imperial Oil’s deal this year to sell 497 Esso-branded retail gas stations for $2.8-billion, which exceeded analysts’ expectations. These were operating stations. 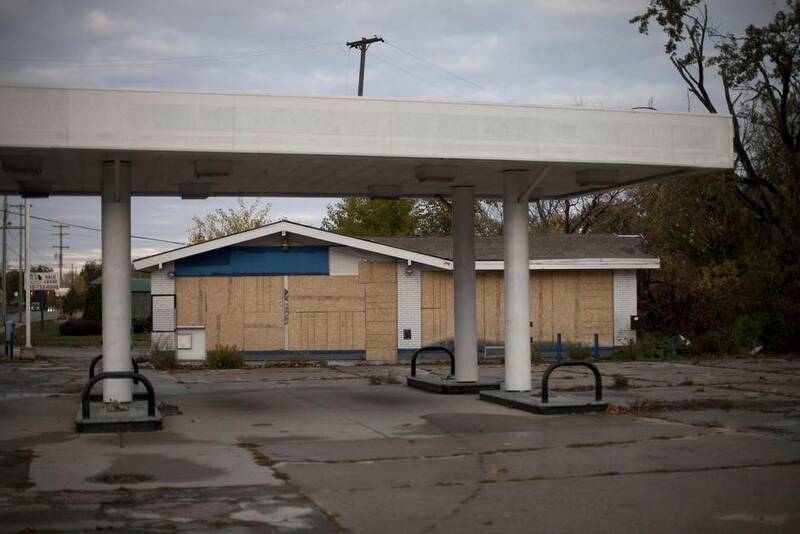 Former sites would have much less value, yet he adds large gasoline retailers are increasingly putting in considerable resources to divest these properties. Last year, for example, Imperial Oil spent almost $150-million on remediation that led to the sale or lease of 57 properties. In 2014, it got 62 former lots off its ledger. “Returning surplus properties to productive use is a priority,” says Christine Randall, spokeswoman with Calgary-based Imperial Oil. Among them is a high-profile site on Edmonton’s Whyte Avenue – a major entertainment and retail hub – vacant since 1998. Plans are under way to build a six-storey, 132,000-square-foot, mixed-use development that is expected to cost $40-million and include commercial space on the first two floors, with 96 condominium units above. Despite these recent successes, however, thousands of sites remain vacant, including many in high-profile locations in established neighbourhoods where land for mixed-use development is at a premium, Mr. Quandt says. Although dozens of sites are redeveloped annually, the numbers do not keep pace with the trend of several hundred others closing over the past three decades, says Jason Parent, vice-president with Kent Group, a consultant for the industry. 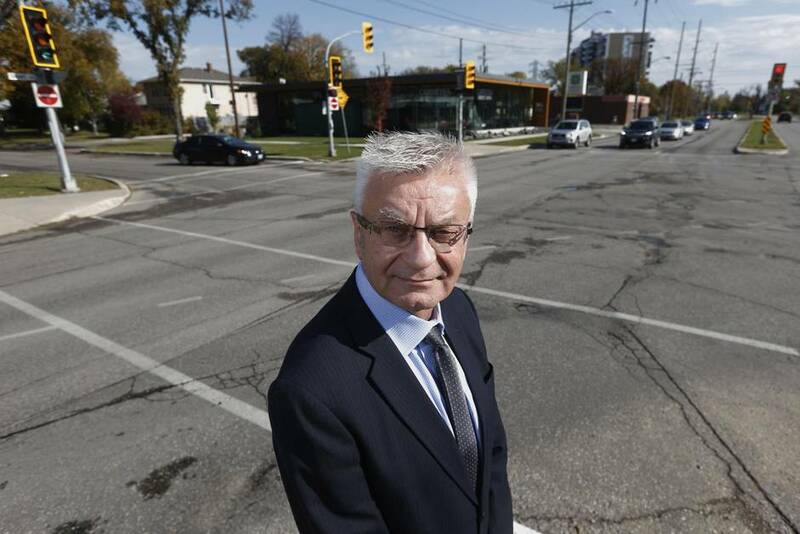 At one time, he says, gas stations were key fixtures at major intersections in older suburbs. But through market consolidation, they became redundant – often located across the street from each other – while others closed as economics did not warrant upgrading pumps and tanks. “We do a census of sites across Canada, and the number of stations has gone from more than 20,000 in 1989 to about 12,000,” Mr. Parent says. Many remain vacant because of remediation costs, and some in rural areas may never be redeveloped without incentive programs, Mr. Simpkins says. In some instances, gasoline retailers and governments have been creative, transforming lots into parks or tourism kiosks, which require less remediation, he adds. But more could be done, says urban planner Bev Sandalack, a professor at the University of Calgary’s faculty of environmental design. She and colleagues from the school surveyed empty lots in Calgary’s middle ring in 2011. “We looked at 143 intersections and counted 24 vacant lots – all former gas stations,” she says, adding the number is similar today, if not higher. Mixed-use development is the ideal, Mr. Quandt says. “Typically, they would have underground parking enabling excavation of the contaminated soil with residential above the commercial, which means you can apply commercial standards to remediation,” he says, adding residential-only developments have higher standards and, in turn, costs. Partnership between oil and gas companies and developers “are enabling some of these to go forward,” Mr. Quandt says. 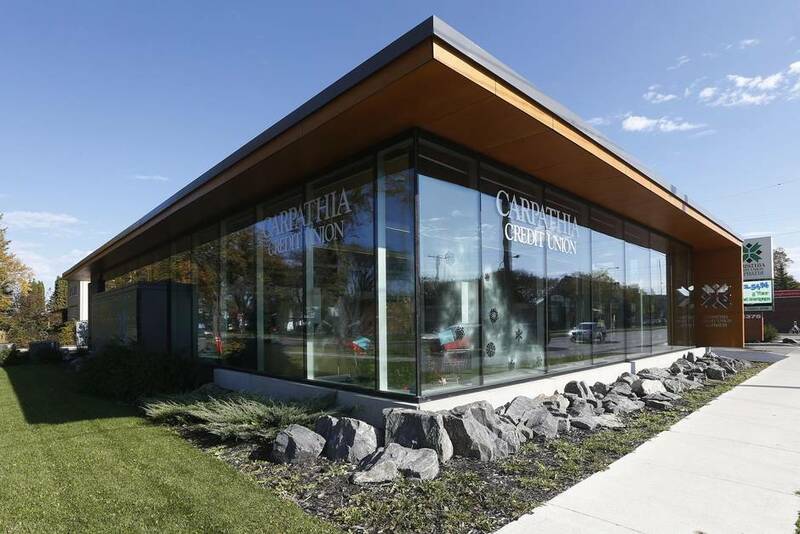 Today the branch is a cornerstone business in the neighbourhood, even recognized for its design, winning the 2014 People’s Choice Award from Commerce Design Winnipeg. Located downtown, the lot is now a community garden. Developed with the assistance of Hemmera, the current owner receives property tax breaks until it starts a high-density, mixed-use commercial and residential development. Case study 2: Terrace, B.C. The Greater Terrace Beautification Society and the municipality collaborated with the landowner of a site that was a gas station for almost 60 years, creating an interim public space alongside the city’s main retail district. The B.C. town, about 100 kilometres west of Williams Lake, redeveloped a former gas station site for temporary use as a visitor centre featuring park benches, picnic tables, a tourist information booth and public washrooms. Western Economic Diversification provided funding.